"Cheerleading Is Har-r-d! " is the title of our 2006 production, available for booking starting February 2006. If you'd like more information, please go to our new website by clicking here. 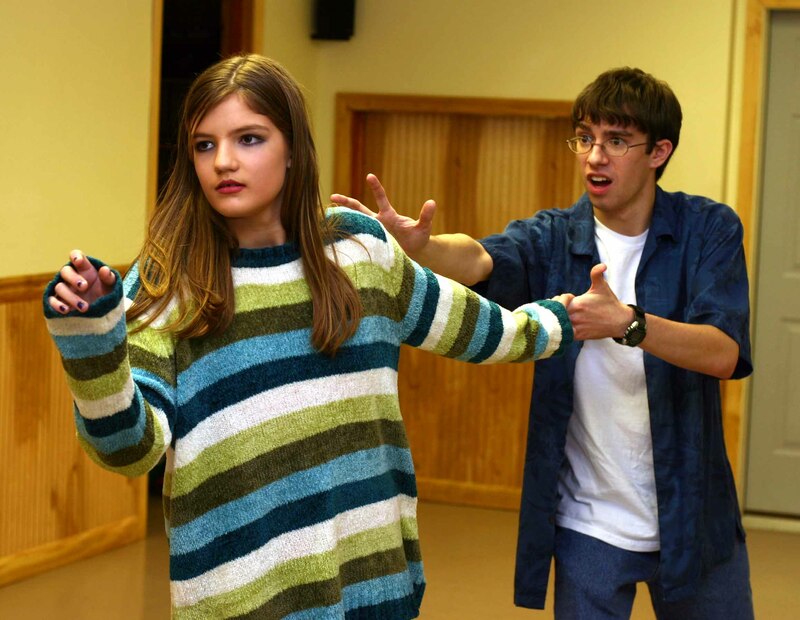 The production features a dramatic story line focusing on teen issues. Hilarious stand-alone comedy sketches punctuate the story line. Music is employed at some shows in conjunction with our sister ministry Broken Seal. Kerrie (far left, and above in her cheerleading uniform) is a 16 year old Christian girl growing up in today's teen world. Her friend Paris has fallen into the world of parties and drugs. Kerrie is tempted too ... but God has other plans.